They’re staring down funding lapses associated with the government shutdown, that will likely impact basic needs that help survivors move forward with their lives. "It could include the temporary cessation of certain services such as advocacy out in the community, support through domestic violence shelters and hotline,” said Karen Jarmoc, the CEO of the Connecticut Coalition Against Domestic Violence. More than half of CCADV funding comes from the federal government. Additionally, the state money the organization gets is federally supported. “Knowing that there are nearly 40,000 victims of domestic violence who seek help in the state of Connecticut from one of the state's 18 domestic violence providers, this is enormously concerning,” Jarmoc said. Federal funding is important for nonprofit organizations that provide safe spaces for victims to live. 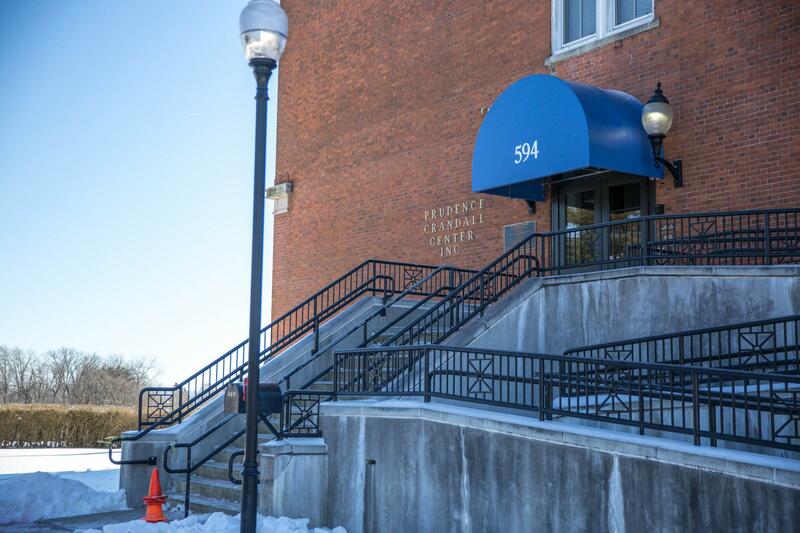 The shutdown could lead to survivors being forced out of The Prudence Crandall Center – a shelter in New Britain. Barbara Damon, the CEO of the center, recently invited members of the media and two United States Senators inside the shelter to bring awareness to the fact that the shutdown’s reach extends beyond federal employees. “I can’t even imagine what they’re going through, but the narrative hasn’t yet talked about the impact of programs like ours who are supported by government funding – who help vulnerable populations and folks who just don’t have another option,” Damon said. The center loses $45,000 a month in funding from the U.S. Department of Housing and Urban Development as the shutdown continues. Without money on hand, staff wages could be cut first and then, tenants may face eviction. Damon said that her organization can get by on its limited reserve funds and private donations until the end of February. The Prudence Crandall Center is a safe place for survivors of domestic violence to live. It relies on over $500,000 a year in federal funding. 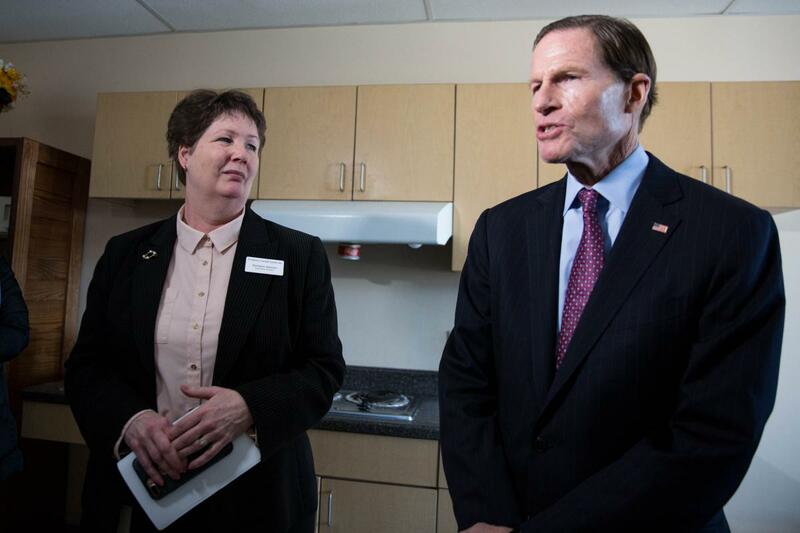 Barbara Damon (left) invited Senators Richard Blumenthal (right) and Chris Murphy to a tour of the Prudence Crandall Center on January 22, 2019. Her goal was to promote awareness around funding for domestic violence victims that's currently being withheld. 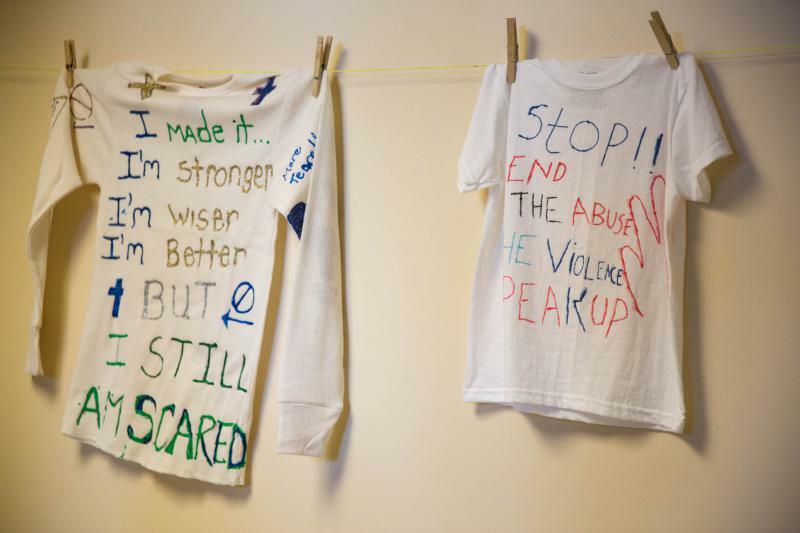 These shirts are hung at the Prudence Crandall Center in New Britain. The messages on them are meant to spread awareness of domestic violence.